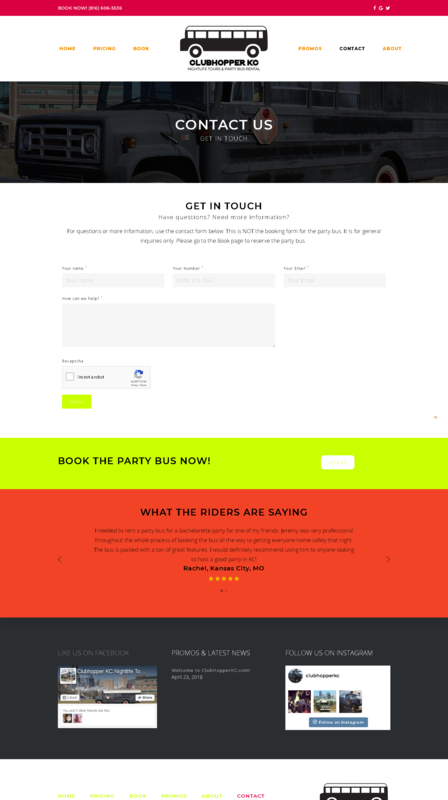 Clubhopper KC Nightlife Tours & Party Bus Rental is a start up company. 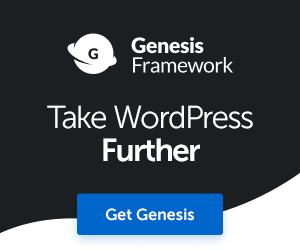 The business launched earlier this year. 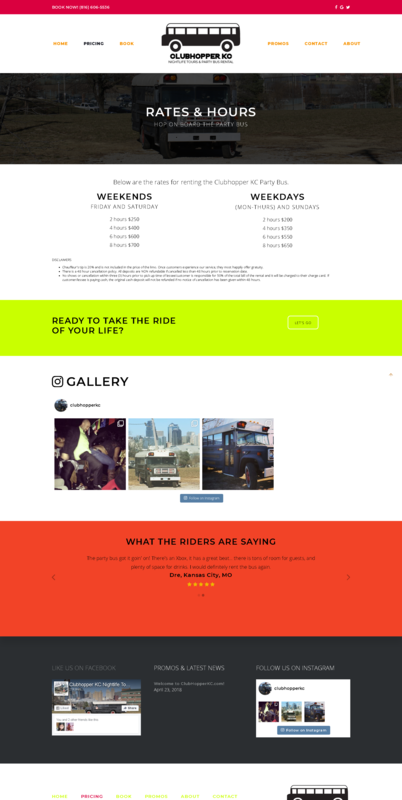 clubhopperkc.com is a perfectly responsive, basic WordPress site that provides basic information about the business and integrates social media. The project also included listing Clubhopper KC on Google My Business to increase the business's chances of being found by potential customers. 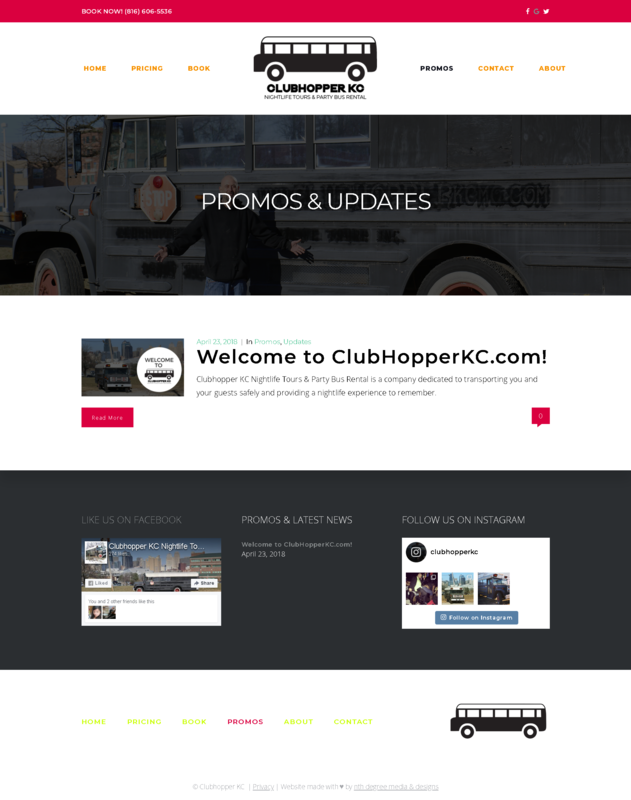 clubhopperkc.com is integrated with the business's social media channels so that promos and updates are automatically shared to followers. 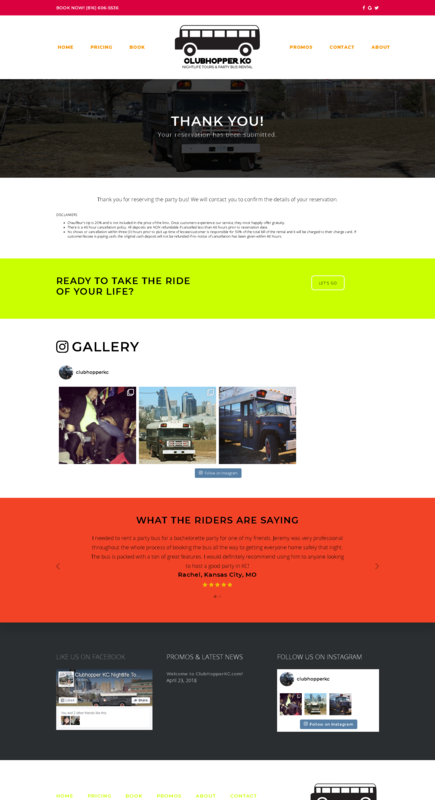 The site includes an Instagram gallery that populates from the business's Instagram feed. Another feature of the project included an online reservation and payment system integrated with PayPal. Customers are able to pay their deposit. nth degree media & designs helped the business create a process for checkout, including contract creation and email templates for following up with customers.